Storage facilities often offer incentives to get you to rent. This might be offered at a terrific rate that will only last for a year. You need to be clear exactly how much that rate will go up after the year is up. It’s easy to forget about the stuff you put into storage until you suddenly get a bill that is double the rate you were used to paying. Although you can certainly book a storage unit online, you would definitely benefit by going to see the space for yourself. It would be easy to visualize exactly what you want to put in if you’re standing inside an empty unit. You should also review the facility security measures with regard to access and video monitoring. It may say that everything is state-of-the-art but until you see it firsthand don’t believe what you read online. You have to think about how you going to use your storage unit in terms of pulling things in and out. If there are some items you know won’t be coming out for a while, then they should be in the back. Things like sporting equipment and holiday decorations should be upfront. Everything should be labeled so that you know what is in each box. You don’t want to spend an afternoon opening up all your boxes. If you’re putting something into a storage unit is because you want to keep it. That means it has some value to you. You should never just pack rubbish for the sake of getting rid of it. A smarter option would be to turn that rubbish over to Junk King Houston. You can set up a junk removal session with Junk King Houston that will provide you with movers and a truck. This crew will go throughout your entire property to take away all the things you want to get rid of. 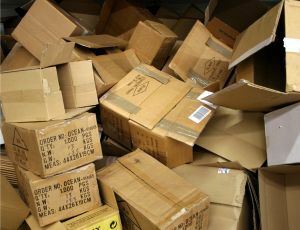 One call to Junk King Houston will make sure you’re not taking rubbish into your storage unit. This entry was posted in Houston Junk Removal and tagged Junk King Houston, junk removal, rubbish, storage unit on July 31, 2017 by Junk King. Last updated July 31, 2017 .